Beekeeping goes back 10,000 years, but bees have been much in the news recently as a multi-pronged scourge has devastated many of the nation’s 2.5 million colonies. Meanwhile, hobby beekeeping has grown exponentially in the country. 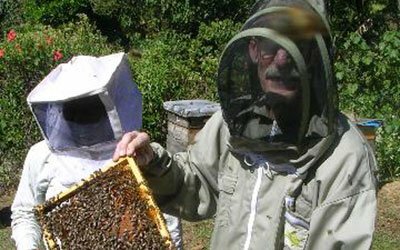 Bill Mares, writer, and a beekeeper for 45 years, will tell of the origins and evolution of beekeeping, sometimes referred to as “farming for intellectuals,” with a particular emphasis on his research in Vermont.